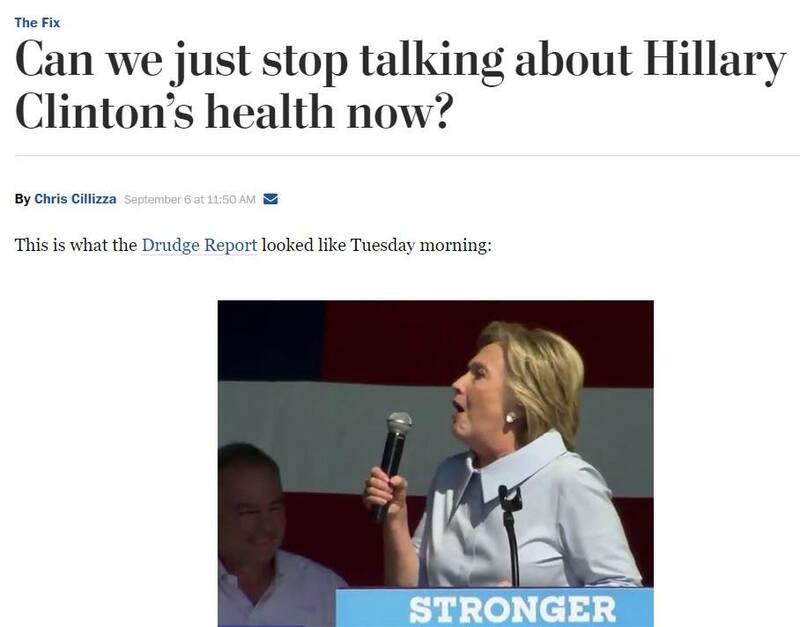 The Washington Post‘s Chris Cillizza called on journalists to quit reporting on Hillary’s frail health. This comes after Hillary has several recent coughing attacks including an attack Monday that lasted for over 4 minutes. 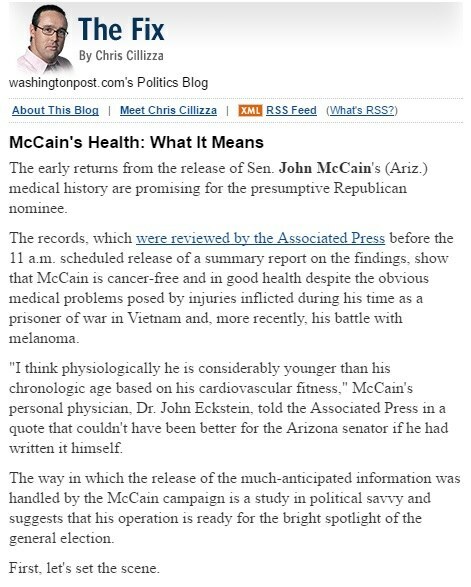 But as Ed Driscoll at Instapundit pointed out– Here is Cillizza’s report on John McCain in 2008. And they wonder why only 6% of Americans trust the mainstream media?